This dryer is a pile of junk. It is so noisy can't be in the kitchen or family room when you use it. Bought it with the matching Cabrio HE washer on February 15, 2010. Had three service calls on it because it is so noisy. They have'nt been able to repair it. Very disappointed in this product and the way I've been treated by Whirpool and the service company. I would not recommend it to any one and I will never purcahse another appliance from Whirlpool. Fine despite code not clearing even after control bosrd changeout. Dryer seems to run normally & hears as expected. Bought this dryer in April of 2010. In March of 2012 the motherboard had to be replaced at a cost of $335. Then in October 2014 the thermal fuse went at a cost (with 1 year warranty) of $200.00. The dryer got so hot the clothing burned our hands! The thermal fuse went out again in November 2014 ... we've decided to throw it out and replace it with Plain Jane dryer. Sounds like this model was a lemon from the start - with all of these complaints, I think we should consider a class-action lawsuit! Dryer electronics are pathetic! Since I am not an electrical engineer I will probably be discounted. But, when a sensor fails three times in four years and they wanted me to by an extended five year warranty, it says something. When a sensor fails and takes out the main control board two of the three times, that says something. When you cannot. Get help, that says something. Guess Whirlpool is just a marketing company now since they no longer know how to manufacture anything. Same as all the other comments...bought it four years ago and now it has a loud clanging sound and it won't spin. Going to Lowes tomorrow to replace. Bummer...our last set lasted 12 years! I've had this dryer for three years and I have no problems with it. I can't hear it either so that's awesome! Completely agree! We have had the same set four years, it's been serviced three times and whirlpool was no help! We jus bout a new washer and went out of our way to stay away from all whirlpool products/manufacturers!! 3 years old and have replaced sensor once. 10 days later dryer quits again with same sensor problem. If sensor fails after this repair will look for a plain Jane version. Whirlpool use to build quality products. I guess they no longer value customer loyalty. 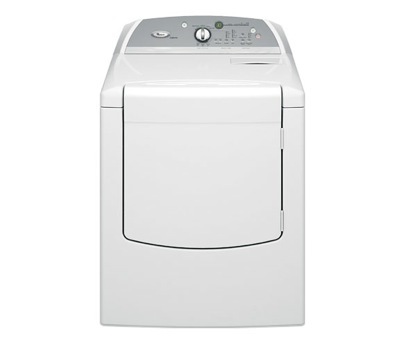 I purchased my Whirlpool Cabrio Washer and dryer set almost 3 years now, and I must say that I have not had any issues with either machine. They are very spacious, I can fit 1 queen and 2 twin comforters to wash at a time with no problem, and they are both very quite you can't even tell I'm washing or drying. Cabrio 6200 Washer and dryer are the worst set I have ever owned both twist any sheet or shirt in to rope. even on delicate my no iron shirts are more wrinkled than when I wear them. Whirlpool offers no help except to call for service and "They can't find anything wrong" Will never by from Whirlpool again they don't stand behind there product. We have had a fuse blow on this dryer 3 times in 3 months........yet again no dryer to wash the clothes with 5 people in the house it build up. The last time they came out on sat and it worked for one load before the fuse blew again.....now it's wed and tomorrow they will be out yet again!!!!!!! DON"T BUY THIS PRODUCT!!!!!!! Buying from Whirlpool is like buying from a black hole. Once you leave the store with the appliance, all you get from the "Customer eXperience Center" is an answering machine. I guess it is slightly better than the help desk that is in a foreign language like "Peggy" on the commercials. Actually to contact them, can you believe this, the instructions on their site say to send them a written note telling them the issue and a daytime phone number that they can reach you at. Don't they have email or some computer system that would be easy???? Piece of junk dryer... heating element went out again... It has not survived the year mark WARNING!!! WARNING!!! This dryer was a waste of hundreds of dollars and was not a quality product will not buy another thing from Whirlpool. We purchased our Cabrio dryer in Pennsylvania a little over two years ago, and have already had one service call. Last week the heating element died, which basically leaves us with with an $800 paperweight! The Whirlpool Cabrio is complete junk, and I will never purchase another Whirlpool product again. It is really noisy and now the dryer won't come on at all there is power but no control panel. this dryer i been having problems with it. would cut on but not run. we replaced sensor then it cuts on and wont quit heating.